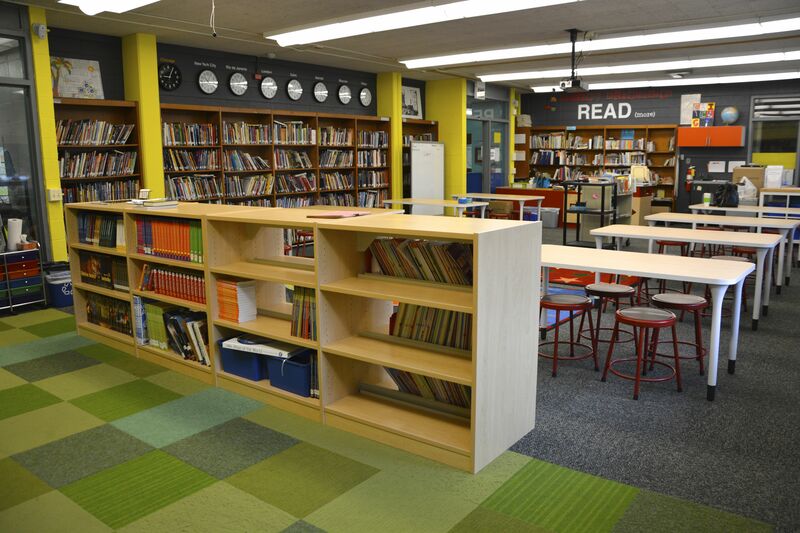 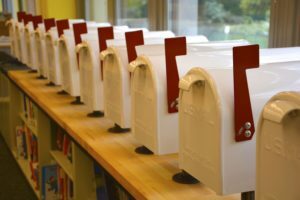 During 2011 and 2012 Friends of Pritzker focused its fundraising on a Campaign for Literacy and renovated the 2nd floor school library. 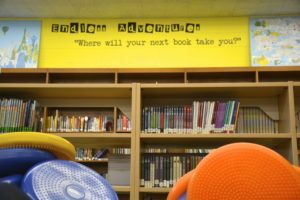 What is a “leveled” library? 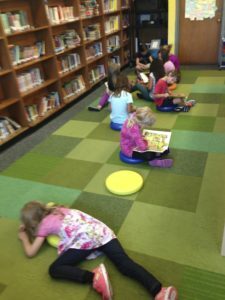 A leveled library is a reading and writing system that challenges both accelerated readers and emerging readers. 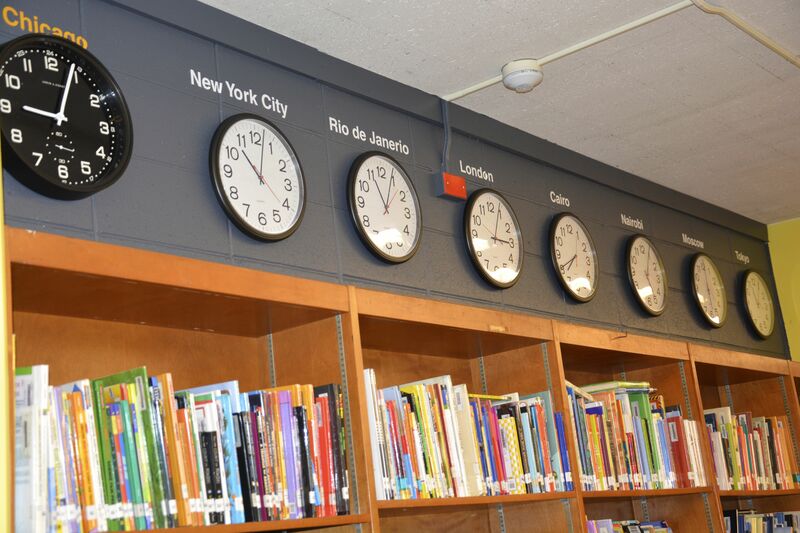 With it, teachers can communicate complex subject matter tailored to each student’s reading level. 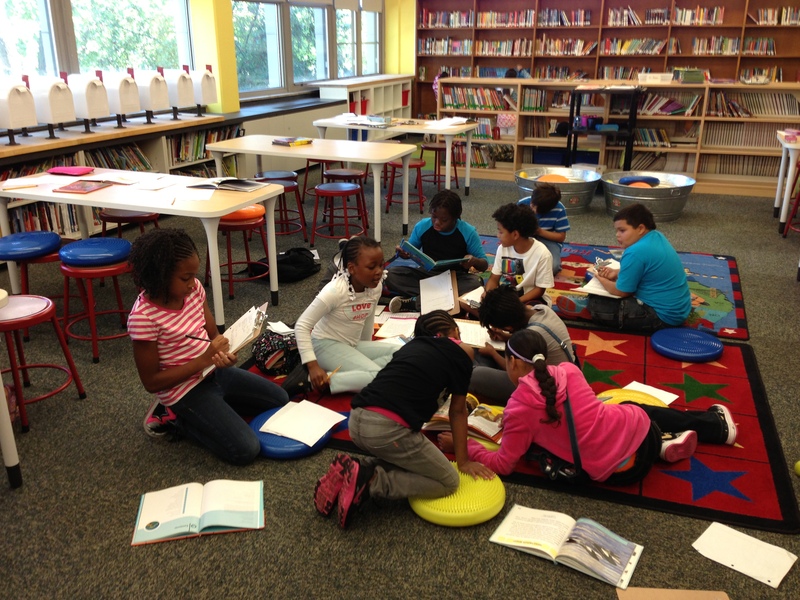 The leveled library approach was created after researching student learning. It is currently being used successfully in 15 states across the country. Our TEACHERS endorse it!! 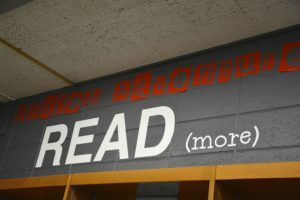 For more information, talk to your teacher. 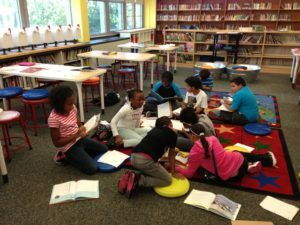 “Not all children in the same grade read at the same level (or at their grade level)… If Pritzker had a Leveled Library, teachers could check out the books they need based on each child’s needs, which would allow each student to be and feel successful as a reader. 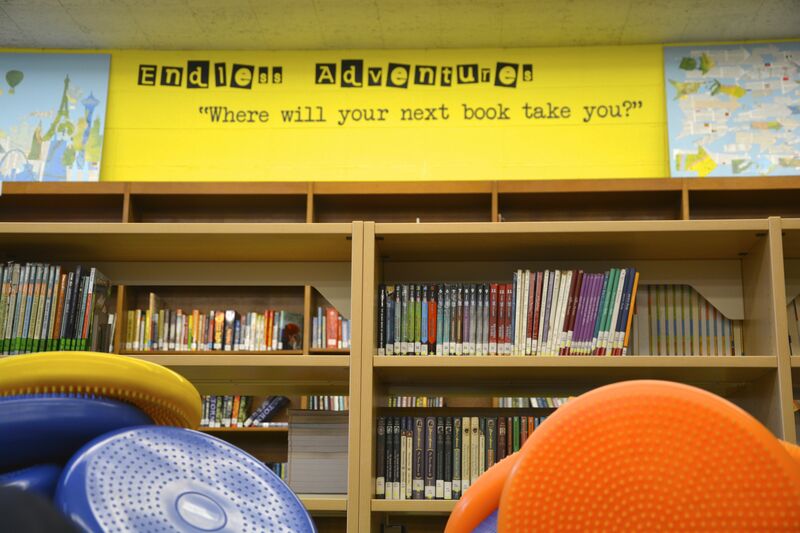 A Leveled Library would allow me to teach to every student on their instructional level. Upgrade Library Technology. 32 iPads with an iPad cart. 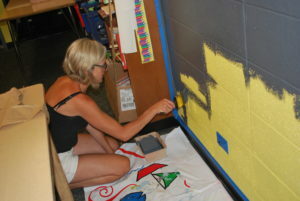 Upgrade materials for Special Education teachers. 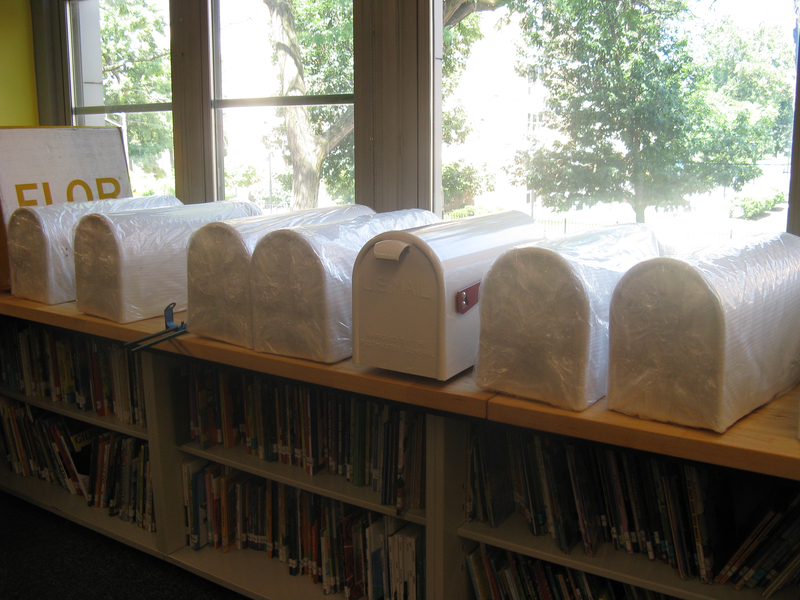 Including 4 iPads dedicated to our Special Education Listening Library. 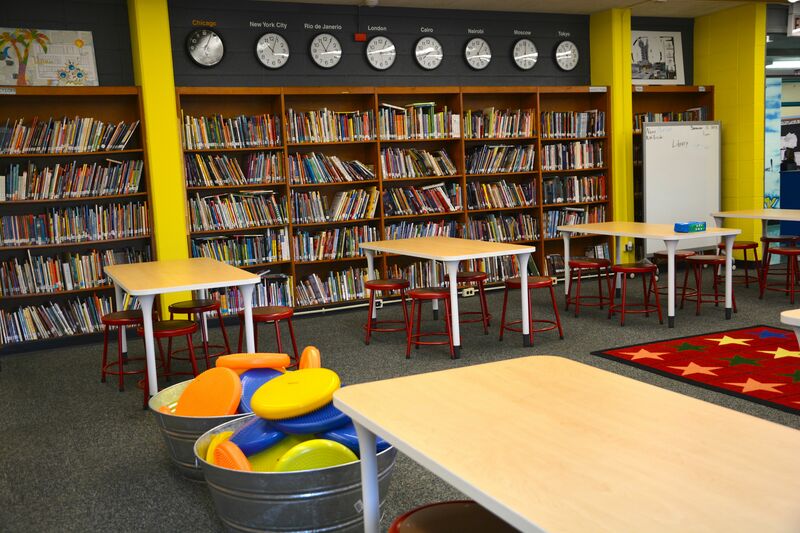 Gave the library a “facelift” with new tables, chairs, projector. 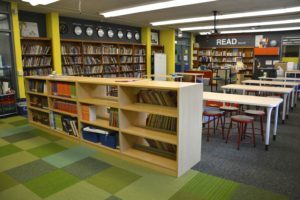 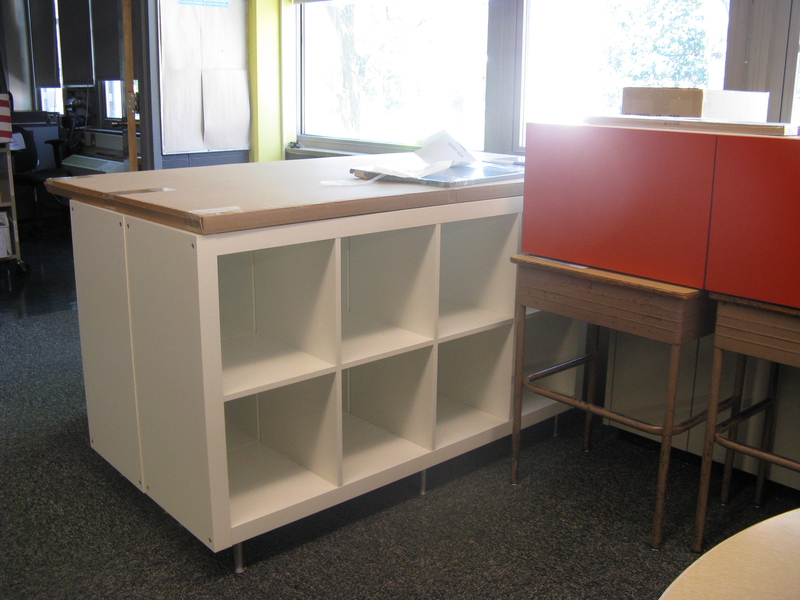 Increased book shelving by 40% and added a new circulation desk and book drop off! 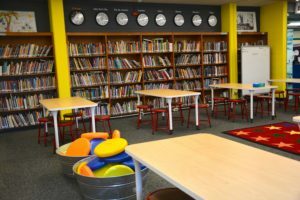 Created a learning space unique to our school. 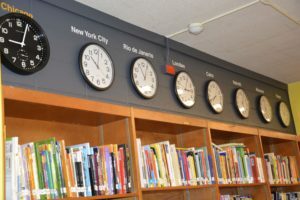 The redesigned space was themed “READING IS THE ENDLESS ADVENTURE!” The library is home to clocks from world time zones, bouncy seats for the “active” readers, mailboxes, and more books. Added computers for research, seating, shelving, and more books!